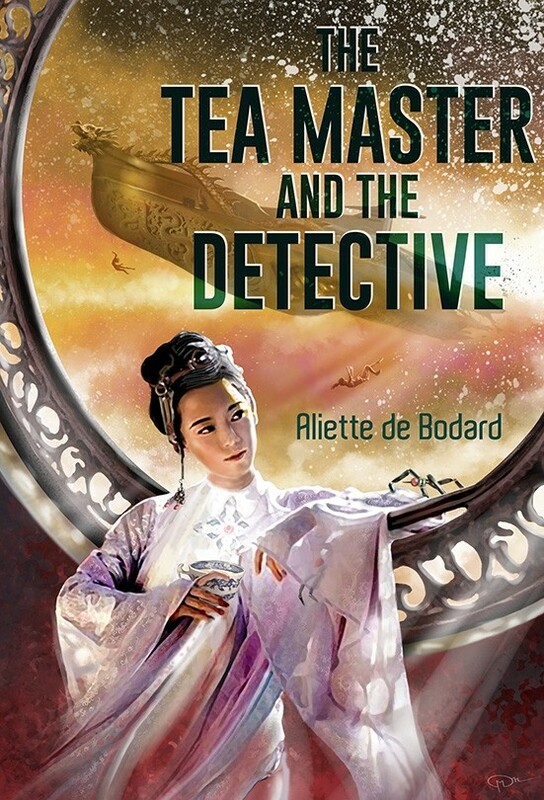 The more short fiction I read by Aliette de Bodard, the more I like her. It took me longer than it should have to “get it”, but now that I do, I just can’t get enough. Most of her short fiction (or at least most of what I read) takes place in her expansive Xuya Universe, and specifically in its space age, when humanity has conquered the stars. If you’ve read “Immersion”, or “On A Red Station, Drifting” (both Hugo nominees last year) you’re familiar with the Dai Viet of Xuya, you’ve smelled their pungent food, you’ve been aboard their mind-ships that are someone’s daughter, someone’s sister, someone’s aunt, those ships that are painted inside and out with scenes and symbols from mythology, you’ve run your fingers along the slick, slimy, pulsing wall of the ship’s heartroom, you’ve seen how their culture has been attacked by the warlike and aggressive Federation. There is more than enough space out there, but still we fight for planets, colonies, stations, insisting that there isn’t enough to share. “The Waiting Stars” opens in a graveyard. These are the Mind-ships that were captured by the Federation. Not exactly prisoners of war, the mind ships have been crippled and left to die. Hidden in a dark corner of space, the Federation assumes the graveyard will be forgotten. But how can Lan Nhen forget her great great aunt, The Turtle’s Citadel? Lan Nhen will bring her great aunt’s body home, to be buried properly. I’m working my way through the Hugo nominated novellas! click back a day or two to see my thoughts on the others. 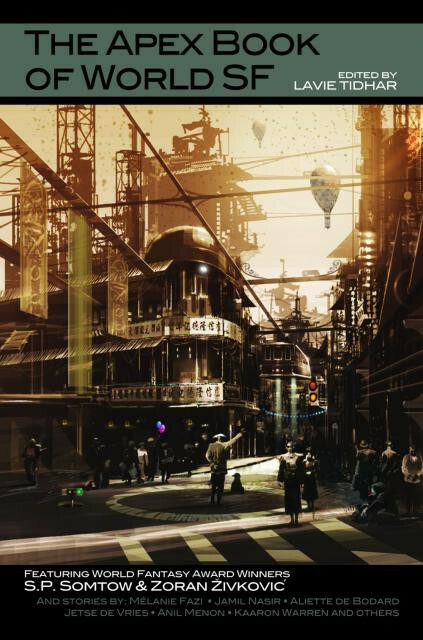 Having escaped the war zone, Magistrate Linh travels with a ship full of refugees to Prosper Station. She has distant relatives on the station, and hopes they will take her in. Of course they will, she’s family, and her mem-implants will prove it, should anyone question who she is. And if they should insist on questioning her Linh is quite used to staring down underlings. She should certainly be able to handle a few cousins who have never even seen the capitol, let alone passed their exams. On Prosper Station, Administrator Quyen has far more important things to worry about than finding quarters and a job for Linh, and the two women immediately begin to get on each other’s nerves, especially when Linh beings a friendly relationship with a male cousin who is already an embarrassment to the family. Quyen and many members of her family have been left behind on the station, while their more educated spouses have been forced to join the war efforts elsewhere. Quyen and Linh are opposites in every way, and they are both used to be being in control. But Quyen isn’t alone in her leadership of Prosper Station. She’s aided (or perhaps it’s the other way around) by the Honoured Ancestress, the AI Mind who runs the software and interfaces of the station. The Honoured Ancestress was born to a human woman, but she was never human, she was always designed to be what she is: timeless and in complete control of herself. Except when she isn’t in control. Sometimes she ignores Quyen, sometimes she is silent when Quyen calls for her. Linh hasn’t much experience with AI Minds, but she has her own honored ancestors, those who live in her Mem-Implants, the uploaded minds and memories of her ancestors. They are a connection to her past, honored elders who guide her and remind her of proper manners and mannerisms. 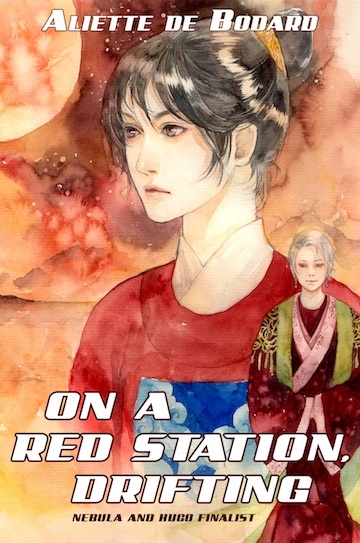 Taking place on the edges of de Bodard’s Xuya universe, “On a Red Station, Drifting” touches on many traditions of China and Vietnam, including bloated and bureaucratic governments, ancestor veneration, and strict social protocols. I found the dichotomy and balance found between futuristic technologies and ancient traditions absolutely beautiful. Quyen is hearing an AI’s voice in her head, yet her home is steeped in tradition, in places quite literally engraved with ancient poetry. 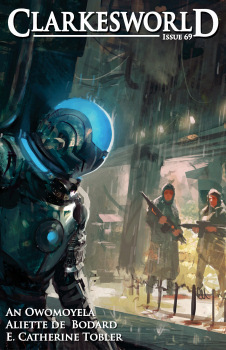 I read so much futuristic science fiction where the past is left behind and completely ignored, it was refreshing and comforting to meet characters who live in the future, but keep their deep connections to their past and to their traditions. A perfectly balanced dichotomy. Epic Fantasy requires the story to be bigger, the dragons be faster, the warriors be stronger, and everything generally be more. 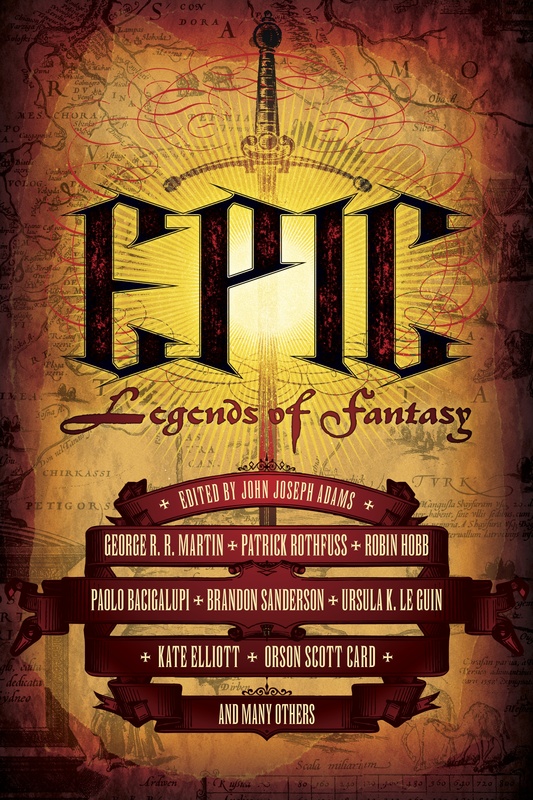 And Epic: Legends of Fantasy offers up just that – more mythos, higher stakes, more of simply everything. Many of the entries are part of the author’s larger work, taking place in an epic fantasy world that the author has already written hundreds and sometimes thousands of pages about. Randomly, the stories I read first happened to be part of larger works, and at first, the lack of stand alone works bothered me, but I quickly came to appreciate it, and to learn the collection had plenty of stand alone stories as well. An anthology like this is a brilliant method of introducing readers to these larger fantasy worlds created by famous authors such as Robin Hobb, George R R Martin, Michael Moorcock, Melanie Rawn, Tad Williams, and many others, and serves as an excellent introduction to the writings of newer authors as well. Some works were fairly new, but others were older than I am. the Moorcock for example was originally written in 1961. A pure classic sword and sorcery, complete with sexualized and helpless female, it might be offensive to today’s readers, but I’m happy Adams included it, as what’s the point of talking about Epic Fantasy if we’re not going to touch on the journey the genre has taken? Clocking in at over 600 pages, Epic: Legends of Fantasy is itself a bit of a doorstopper. We eat clunksters like this for breakfast, so I was surprised at how long it took me to plow through it. ahh, but spending 600+ pages in one fantasy world is one thing. Try spending that quantity of pages in over a dozen fantasy worlds. More often than not, my brain needed a little break in between. This isn’t the kind of anthology to gorge on, this is the kind you savor, over many winter evenings.